For men who trust only the best grooming tools close to their skin, the Magneto mens travel kit brings the highest quality to add to your luggage essentials. 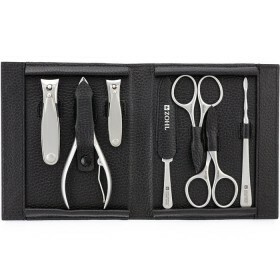 Comprised of the German surgical steel nail scissors and Klipser for gentle trimming of facial hair, the set is ideal for men who are often on the go and need to maintain their nails and face in good shape. 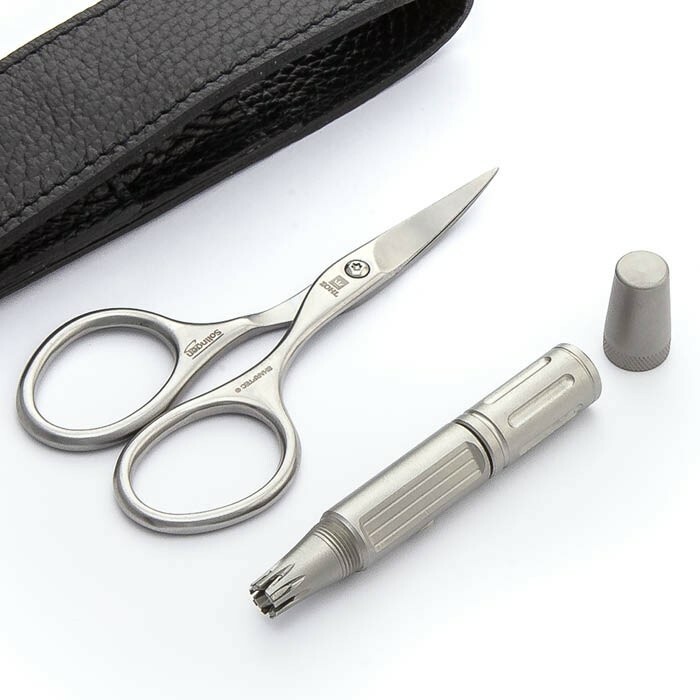 The scissors are crafted from specially hardened stainless steel and boast perfectly sharp blades for long lasting service. 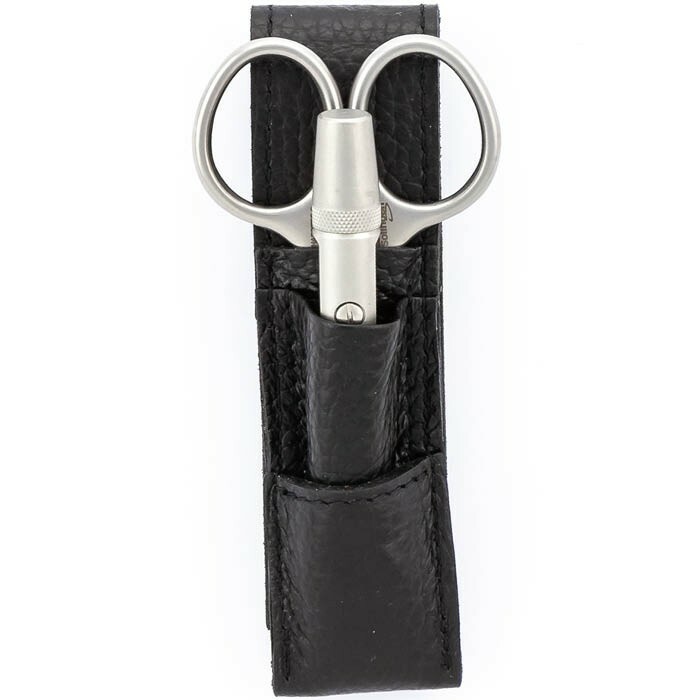 The innovative Klipser is 100% manually operated and allows safer trimming of ear and nostril hair. 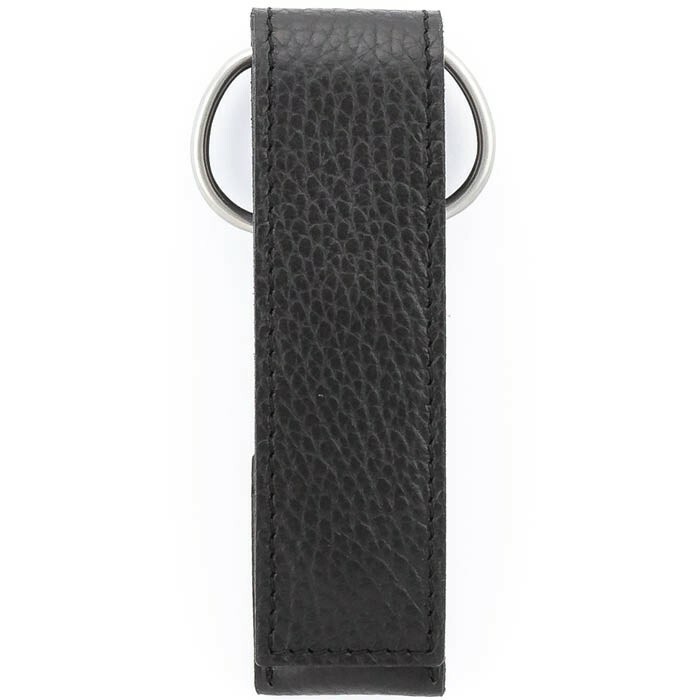 Luxury presentation in the black leather case makes it a perfect gift for men of high style and a perfect travel accessory built to last many years. 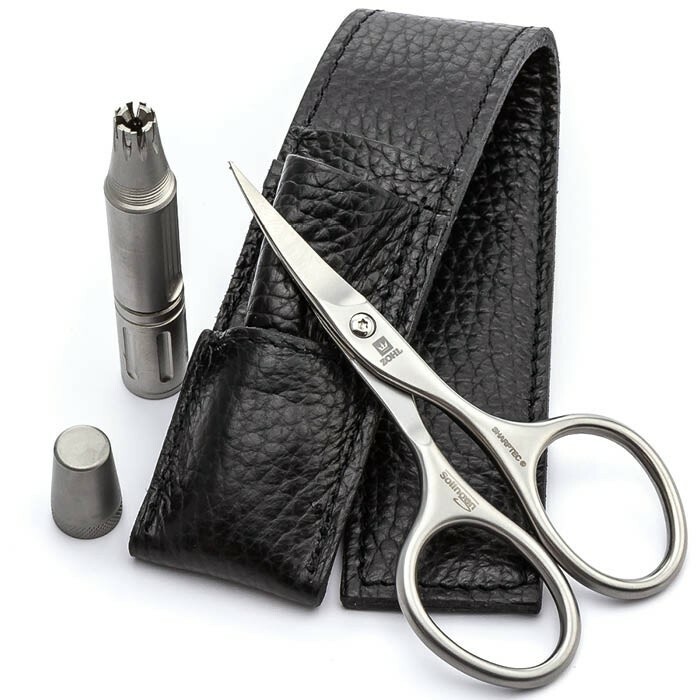 The highest quality mens grooming set Magneto is a rare find for men who prefer the best grooming tools with reliable performance and long lasting durability. 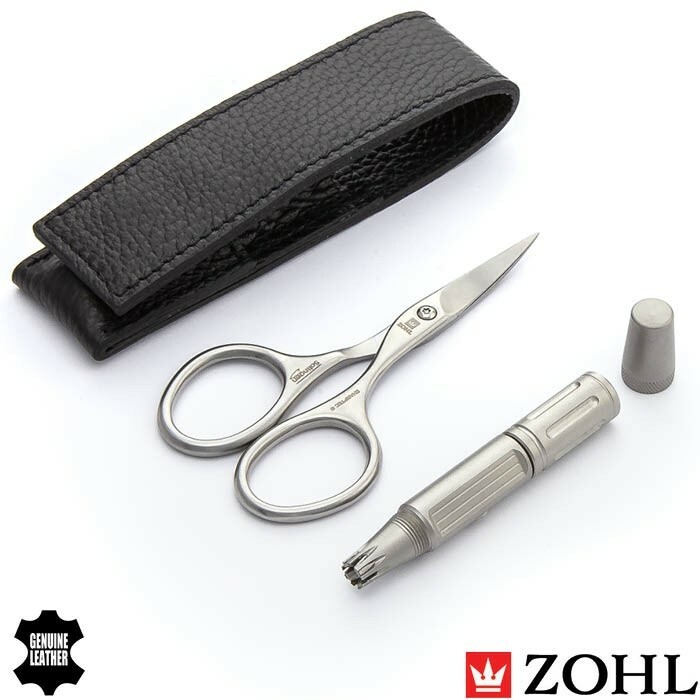 The tools are protected in individual pockets of the robust leather case lined with premium cowhide on the inside and outside, and secured with a sturdy magnetic closure. 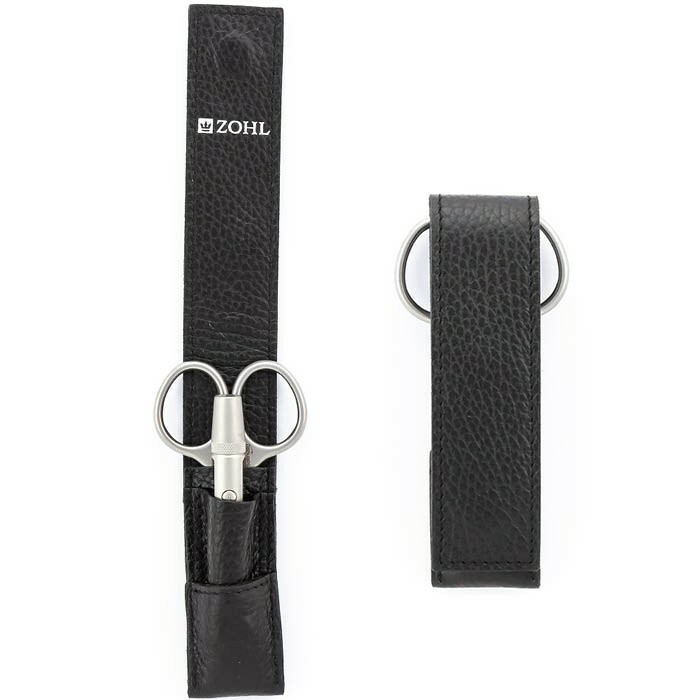 Solingen Curved Fingernail Scissors (9cm) – the highest quality nail scissors made in Germany from surgical steel with excellent retention of the cutting edge. 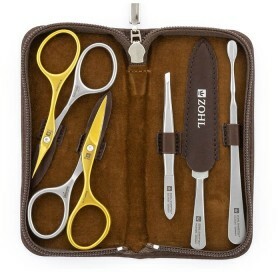 Superior sharpness and special hardening means you'll enjoy the scissors for many years without any sharpening. Just remember to put them in the check-in luggage to avoid confiscation at the airport if your travel involves high fly. 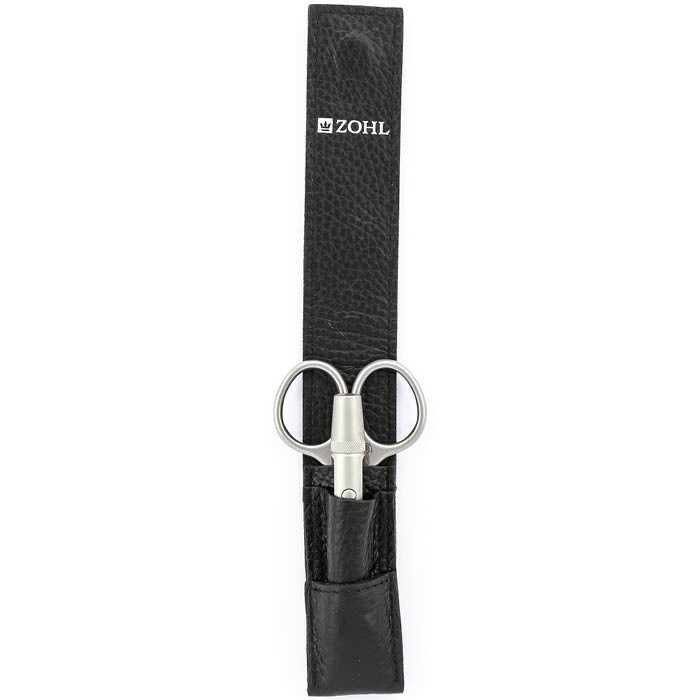 ZOHL Professional Nose & Ear Hair Trimmer is the precision-built men's grooming tool for the closest trimming of facial hair. Carefully place the cutting head into the opening of your nostril or ear. Hold the top cylinder steady with one hand and twist the bottom cylinder back and forth with your other hand.